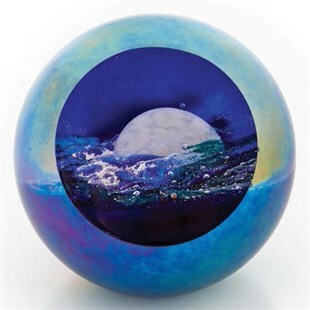 From Glass Eye Studio, designed by Creative Director and Artist Piper O'Neill, Good Night Moon. Inspired by the popular children's book and hand-crafted. Signed GES and includes a blue velvet box and story card with valuable information. Very highly collectible.Approximately 3.0" diameter.